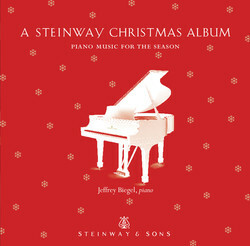 Classics Today 10/10: "...the intelligence and artistry are such that you can savor it any time of year. Highly recommended". Composer: Bach, Johann Sebastian, Traditional, Taylor, Carolyne M.
05 The Christmas Song, "Chestnuts Roasting On An Open Fire"
Composer: Liszt, Franz, Holst, Gustav, Taylor, Carolyne M.
15 Christmas is a 'Coming (and the Geese are Getting Fat) (arr. Composer: Sosin, Donald, Mendelssohn, Felix, Cummings, William H.